Russian Foreign Minister Sergey Lavrov told reporters he and President Trump "didn't even raise" the issue of any Russian meddling in the election in their meeting Wednesday morning, a day after Mr. Trump fired FBI Director James Comey, who had been in charge of the investigation into any ties between Russia and the Trump campaign. 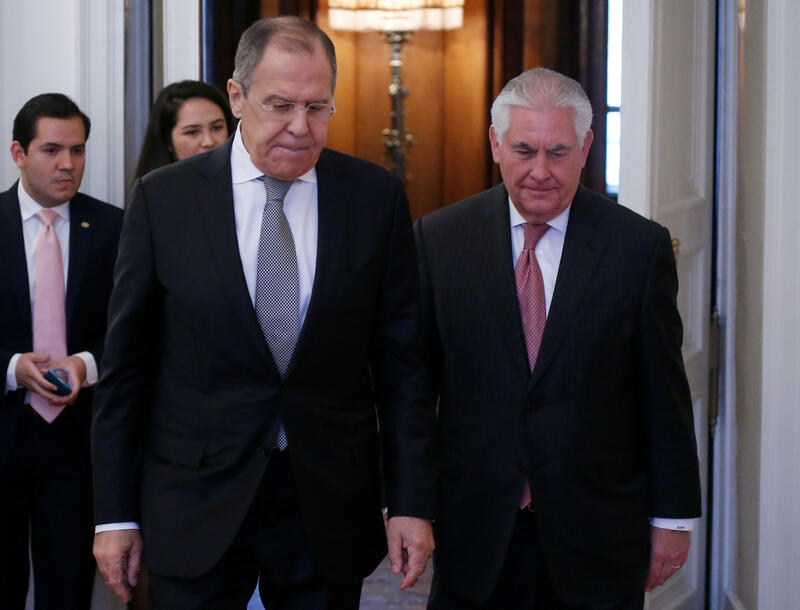 Lavrov, after meeting with Mr. Trump and Secretary of State Rex Tillerson Wednesday morning, emphasized repeatedly that the topic didn't need to be raised because both he and Mr. Trump had already thoroughly addressed it publicly. Lavrov said "not a single fact" exists to support any Russian intervention in the election, and Mr. Trump has persistently called any Russia-U.S. ties "fake news." "That is why there is no need for him to tell us anything, or to give us assurance behind closed doors," Lavrov said, asked if he received any assurances from Mr. Trump about his belief that Russians had meddled in the 2016 election. A U.S. official told CBS News Wednesday that Comey met last week with Deputy Attorney General Rod Rosenstein to ask for more resources to address the Russia investigation. Rosenstein wrote a letter Tuesday explaining the justification for Comey's firing, chastising the now-former FBI director for his handling of the Clinton email investigation. Russian President Vladimir Putin, referring to Comey's firing, told CBS News Wednesday, "We had nothing to do with that." Lavrov told reporters the "noise about our contacts (with Trump associates), the fake information" makes for "abnormal background" for relations with the U.S., calling the whole situation "humiliating" for the American people. "I believe that politicians are damaging the political system of the U.S. trying to pretend that someone is controlling America from the outside," Lavrov said. The White House also did not allow U.S. media into the meeting between Mr. Trump and Lavrov, forcing U.S. media to rely on images tweeted by the Kremlin instead. Lavrov also addressed foreign policy issues in the Middle East. A top U.S. general has claimed Russia appears to be transferring arms to the Taliban. But Lavrov dismissed those accusations, telling anyone to "just give us one fact" that Russia is engaging in that behavior. He also criticized the U.S. military strategy in Afghanistan, which, he said, has proven ineffective, and has been accompanied by an increase in drug trafficking. Lavrov also harped on Americans' "obsession" with ousting foreign leaders, referencing Syrian President Bashar al-Assad. Mr. Trump has seemingly hardened his stance on Assad, after concluding that the Syrian president was responsible for unleashing a deadly chemical attack on his own people. But Lavrov said the world should "learn from our mistakes," and that ousting and replacing dictators doesn't work.